My mom and I went to the Dallas Quilt Show yesterday. I found the things on my list and more. 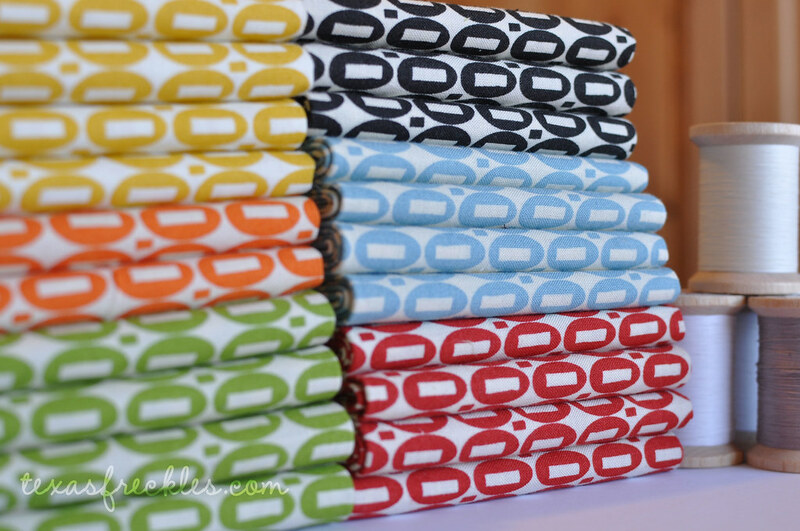 including buying out of all the Peas & Carrots fabric from a rural Texas quilt shop! 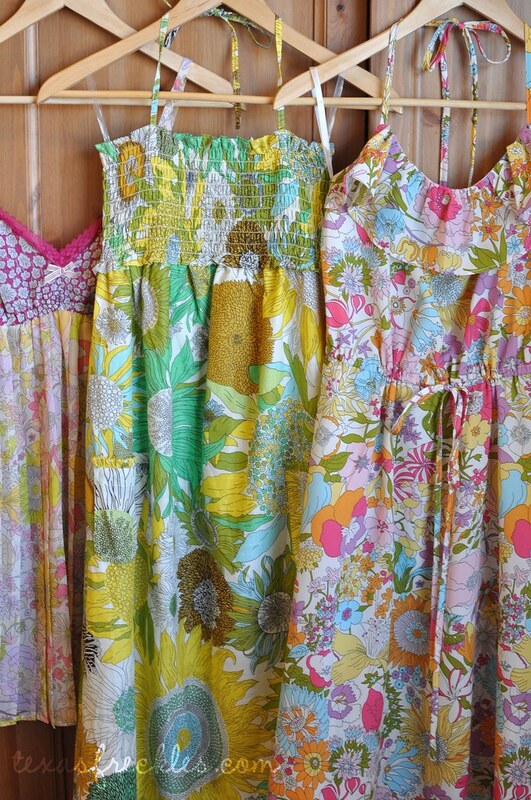 a nightie for me, some sundresses for my me and my daughter, and an un-pictured shirt and boxers for the hubby. 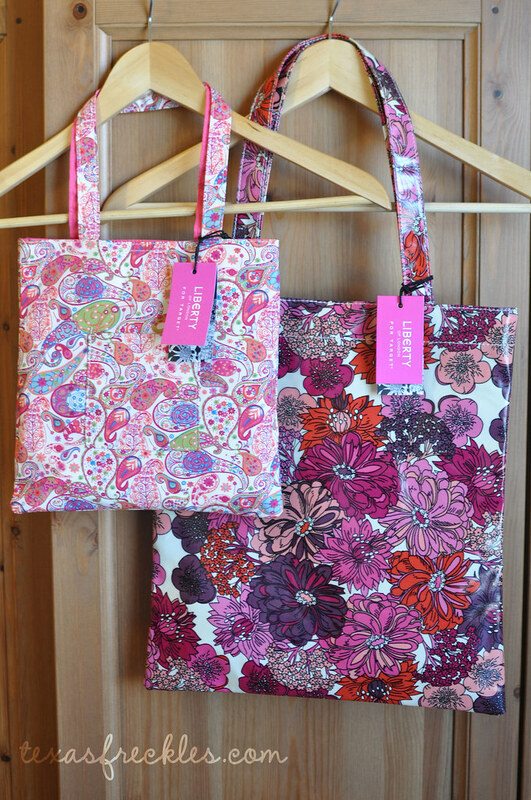 And, a couple of cute totes. It was very hard to exercise restraint. Very hard. but, I'm loving the way it's coming together! Nice additions to your stash! 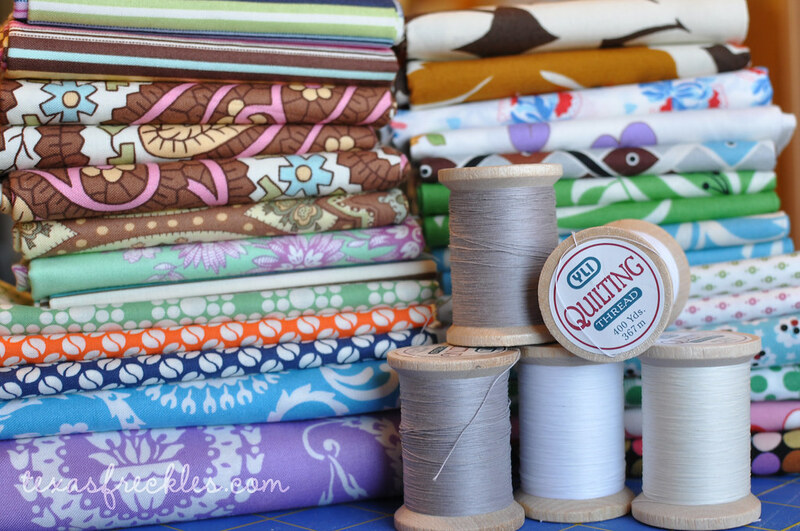 Havn't heard of YLI hand quilting thread down in NZ. Is it worth seeking out? 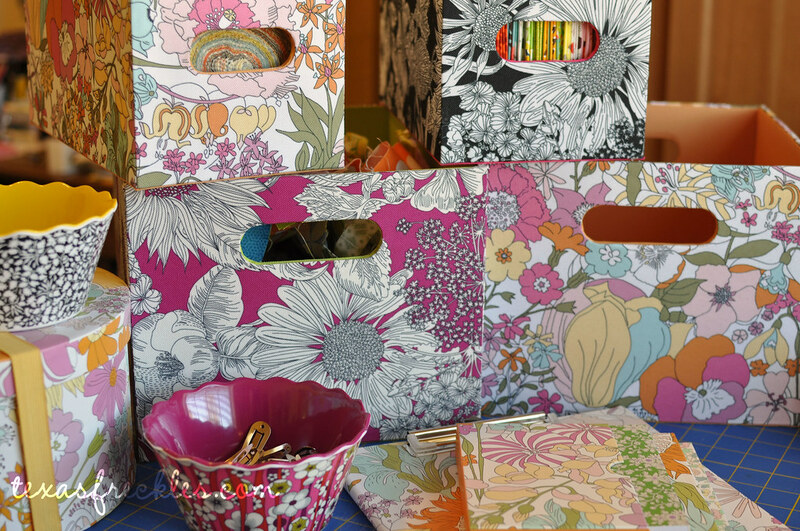 Love those storage boxes! Great additions to your stash! Glad you found 1" hexagon pieces. I totally forgot about Liberty of London being at Target today. I best get myself there soon. wow, look at those yards of peas and carrots! you lucky girl!! 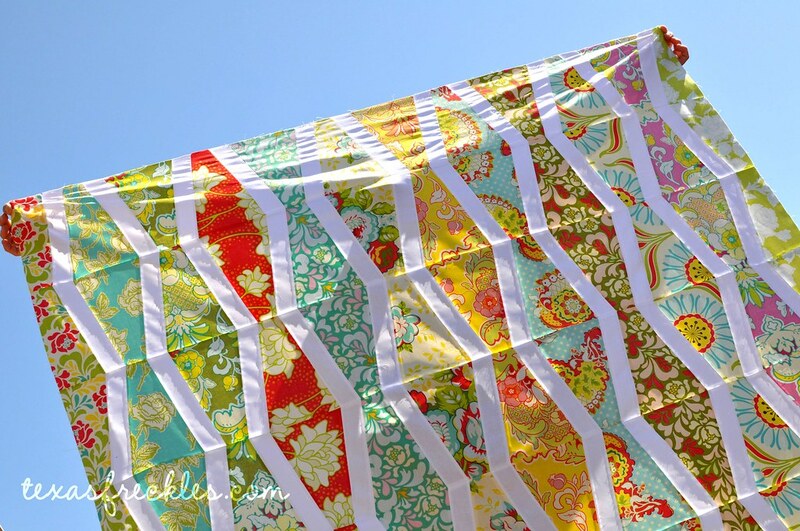 Hi there Melanie, Callie told me about you and the Modern Quilt Guild. Can I join your group???? You and I like to do lots of the same things. I might've even run into you at Target yesterday morning! I love the things you picked out. I wish our local quilt show had fabric finds like that. Down here in the Rio Grande Valley, it's like a time warp in the 80's with lots of brown, peach and mauve calicos. The most modern line I saw was a few prints from the Happy Campers collection. Sigh. I need to visit my friends and relations up in Dallas soon. Just wanted you to know that because of your photos from Target, I HAD to go out and get those bins for my sewing room. I got three of the straight-sided ones for my huge magazine collection and the biggest ones for books! Thanks for showing me your loot so I could figure out exactly what I wanted!